NASA’s program to upgrade its space communications network has become more expensive even as the scope of the effort has shrunk, according to a new Government Accountability Office (GAO) assessment. “Since the 2015 rebaseline, however, the project’s total costs increased by at least $112.9 million, from $1,207.9 million to $1,320.8 million, even as the scope decreased from upgrading nine terminals at three Space Network sites to six terminals at one site,” the report stated. The program’s goal is to replace “obsolete and unsustainable” systems, software and equipment that date to the 1980’s. The network provides essential communications and tracking services for space agency and non-NASA missions. “Project officials stated the contractor did not fully understand the requirements, technical planning was inadequate, and the contractor’s planning did not account for resolving software defects,” the assessment found. “Project officials stated that contractor performance improved in fiscal year 2017 as the project successfully completed most of the plan it created for fiscal year 2017, which included delivery of the final software increment to integration and testing in May 2017,” the report added. The GAO’s assessment is reproduced below. The Space Network Ground Segment Sustainment (SGSS) project plans to develop and deliver a new ground system for one Space Network site. The Space Network provides essential communications and tracking services to NASA and non-NASA missions. Existing systems, based on 1980s technology, are increasingly obsolete and unsustainable. 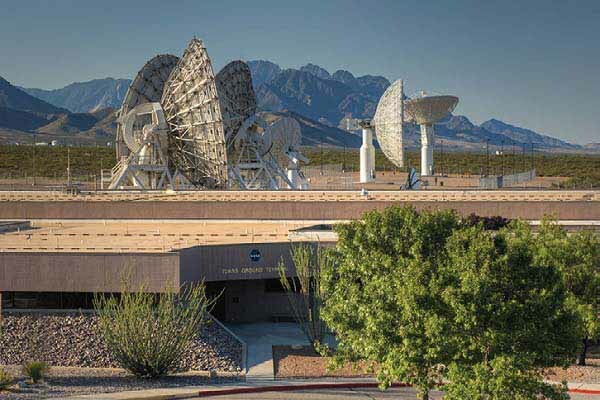 The new ground system will include updated systems, software, and equipment that will allow the Space Network to continue to provide critical communications services for the next several decades. The Space Network is managed by the Space Communication and Navigation (SCaN) program. In 2017, the SGSS project experienced additional cost growth and schedule delays beyond the rebaselined cost and schedule estimate NASA set in 2015. Since the 2015 rebaseline, the project’s total costs increased by at least $112.9 million, from $1,207.9 million to $1,320.8 million even as the scope decreased from nine terminals at three Space Network sites to six terminals at one site. According to the fiscal year 2019 budget request, NASA plans to conduct an independent review in 2018 to inform a decision on whether to continue the project. If the project continues, additional cost growth is expected as the latest cost estimate covers only through the initial operational readiness review, currently planned for September 2019. Project officials attributed the cost growth and delays to an incomplete understanding of requirements by the contractor, which led to poor contractor plans and late design changes. Contractor performance has been a concern for the project, but project officials stated that contractor performance improved in fiscal year 2017. The project delivered the final software increment in May 2017 and the software is now in integration and testing. In 2017, the SGSS project experienced additional cost growth and schedule delays beyond the cost and schedule rebaseline NASA set for it in 2015. In 2016, SGSS was reclassified as a hybrid sustainment project instead of a major project, which means that NASA is no longer measuring the project against its cost and schedule baseline, among other oversight implications. However, according to officials, the project is still required to provide quarterly and annual status reports to NASA on their cost and schedule. Since the 2015 rebaseline, however, the project’s total costs increased by at least $112.9 million, from $1,207.9 million to $1,320.8 million, even as the scope decreased from upgrading nine terminals at three Space Network sites to six terminals at one site. The SGSS project presented its new cost and schedule estimate to NASA headquarters in August 2017, which NASA approved up through the initial operational readiness review, currently planned for September 2019. Additional cost growth is expected for SGSS when NASA revisits project costs through future budget cycles. According to the fiscal year 2019 budget request, an independent review of the project is underway to determine whether the project will continue and was initiated due to budget challenges. In the event the project continues, officials stated the project plans to evaluate various funding scenarios, including continuing but receiving less funding than requested. Project officials attributed the cost growth and delays to an incomplete understanding of requirements by the contractor, which led to poor contractor plans and late design changes, but project management has been a challenge as well. For example, the project has historically struggled to manage contractor performance and has faced staffing shortfalls in key areas, such as systems engineering and business management. However, as of January 2018, NASA officials stated that these workforce issues had largely been resolved because some positions were filled by reassigning staff to these areas and others are no longer needed. The project delivered the final software increment in May 2017 and the software is now in integration and testing. The project is working toward the systems integration review in May 2018. Contractor performance has been an ongoing concern for the project, but project officials stated that performance improved in fiscal year 2017. The SGSS project attributes most of its cost and schedule growth to the contractor underestimating the scope of the development effort. The contractor moved a large portion of the software’s required functionality into the last software development increment after experiencing problems with earlier increments. Project officials stated the contractor did not fully understand the requirements, technical planning was inadequate, and the contractor’s planning did not account for resolving software defects. In response to the issues the project has faced, the SGSS project has taken action to try to address contractor performance problems. For example, the project worked with the contractor to develop new, more reliable cost and schedule estimates both for 2017 and beyond. The new schedule focuses on discrete tasks, which enables better tracking and measurability. In addition, the project managers for the project and the contractor were replaced. Project officials stated that contractor performance improved in fiscal year 2017 as the project successfully completed most of the plan it created for fiscal year 2017, which included delivery of the final software increment to integration and testing in May 2017. The project is tracking several risks to completing integration and testing—a period where problems are commonly found and schedules tend to slip—on schedule. For example, the project is tracking a risk that Space Network and mission partner users may be unavailable for testing, which could slow progress. The project is also tracking the number of software defects as a risk. While the project and the contractor’s models generally agree on defect resolution timeframes, officials said there is a risk that defects could arise that would take longer than planned to fix. Additionally, the project is continuing work to demonstrate end-to-end performance and stability of the SGSS system. As part of the fiscal year 2017 plan, the project established five operational scenarios as measures of performance and stability. The project completed four of the operational scenarios, but was unable to complete the fifth due to a problem with third-party software. The project is working with the software vendor to resolve the issue. In commenting on a draft of this assessment, project officials noted the contractor performed on plan for fiscal year 2017 and completed all the milestones within the critical path. The project also provided technical comments, which were incorporated as appropriate.